Node.js & Angular CRUD Tutorial - Step By Step Guide! Node.js & Angular CRUD Tutorial – Step By Step Guide! 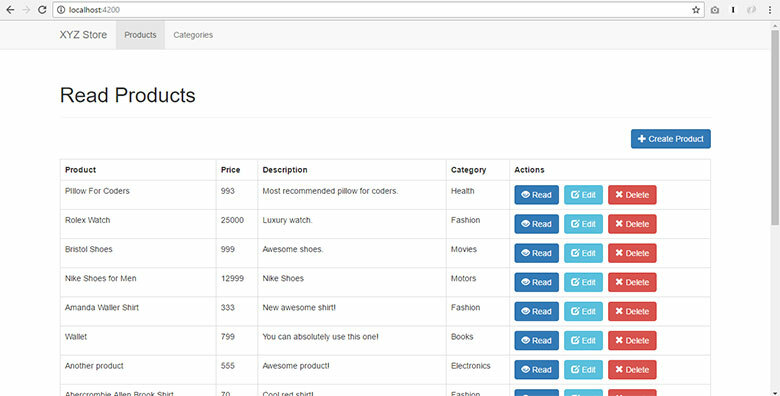 Previously, we learned how to create, read, update and delete database records with our AngularJS CRUD Tutorial. Today we will learn how to code CRUD with Angular. 6.0 How to read records in Angular? 7.0 How to create or insert record in Angular? 8.0 How to read one record in Angular? 9.0 How to update record in Angular? 10.0 How to delete record in Angular? Aside from the above definition, I require you to have at least a basic understanding of the following topics. What is the difference between AngularJs and Angular? What is a single-page application (SPA)? What are the advantages of SPA? What is TypeScript and why would I use it? What is Node Package Manager or NPM? You don't have to learn coding yet. For now, just understand what they are, why use them and who uses them. The links above should be helpful for you. For additional learning about the topics above, you can always do your own Google search as well. If these platforms, frameworks, language and concepts are new to you, please do not get overwhelmed. Take one step at a time. I'm going to show you exactly what you should learn next. You can ask me using the comments section below as well. The key to learning here is to follow our tutorial, study, practice and ASK for help IF you really can't understand something after you did your research. You don't have to learn all of it in one day. Downloading our source codes is your huge advantage as well. In this post, we are going to learn how to coding using the following tools. 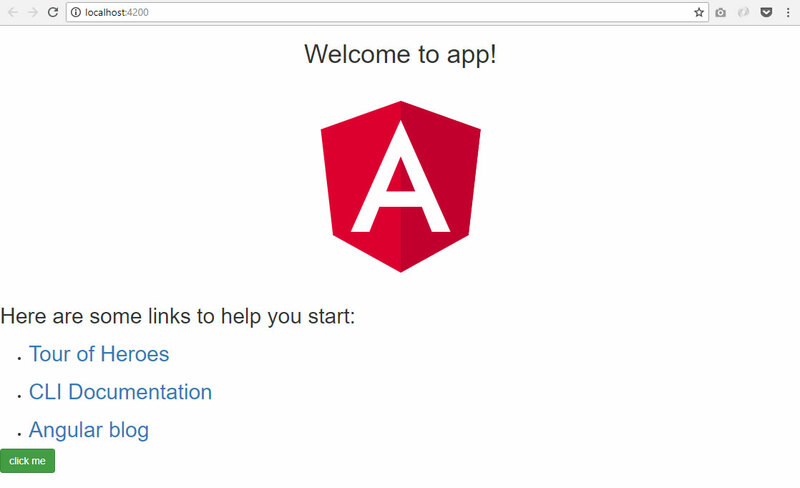 Angular / Angular2 - a development platform for building mobile and desktop web applications. Read more about this on section 2.0 of this post. Node.js - For this tutorial, this will allow us to run our app anywhere on our machine and install open source libraries easily. REST API - To learn how to build a REST API using PHP & MySQL, see section 4.0 below. REST uses HTTP for all four CRUD (Create/Read/Update/Delete) operations. 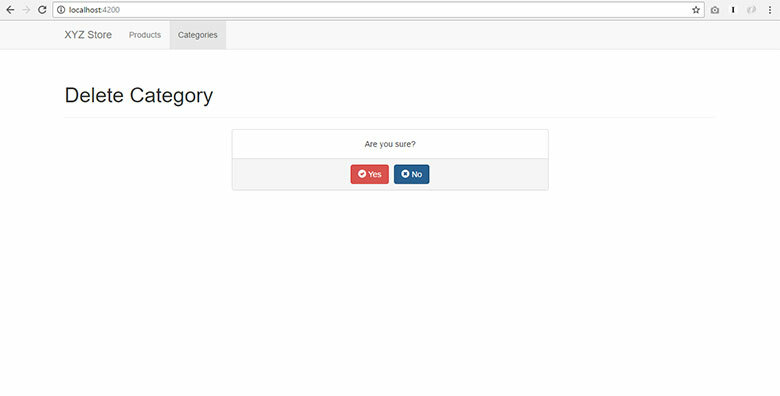 Bootstrap - is in charge of making our app's user interface look better. I'm very excited to show you how to use the tools I mentioned above. Please continue below. At the end of this tutorial, we will achieve the following output. We did not include REST API source code because we want you to focus on learning how to code with Angular, not PHP. But if you already have your own REST API that will work with this tutorial, that's okay as well. The data above will be consumed by our Angular app. 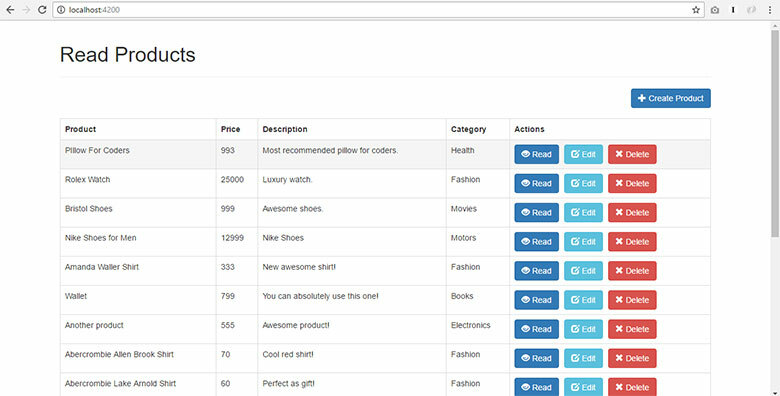 The list of products will be displayed in Bootstrap table with buttons like "Read One", "Update" and "Delete". You will see it in the "How To Read Records in Angular?" section of this tutorial. 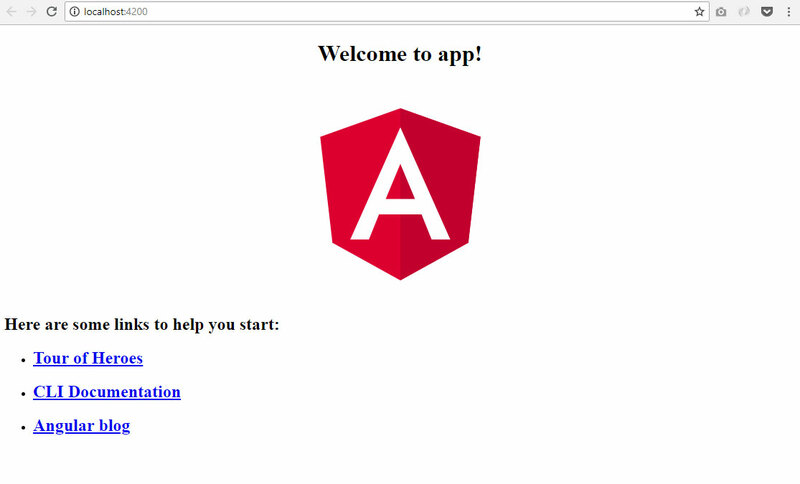 First, we will set up the Angular development environment. Go to Node.js website and download the Node.js installer. Run the installer and follow the installation process. 3. 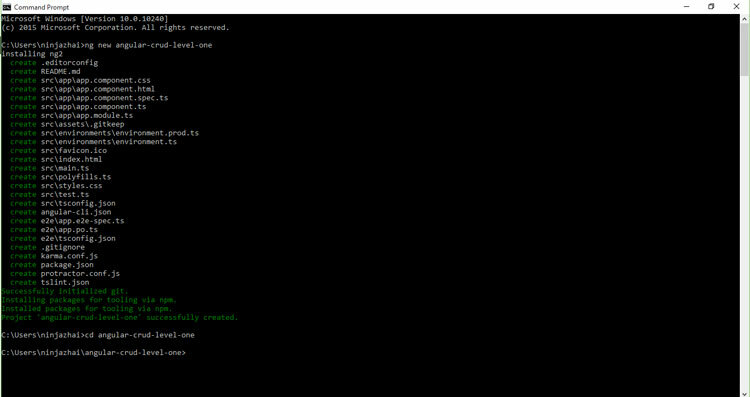 Check Node.js Version by typing the following in the command prompt and pressing 'Enter' on the keyboard. If you're using using Mac, I think you should always add 'sudo', so it will look like. 4. Update Node.js if your version is older than what's on the Node.js homepage. 1. How to Install NPM? NPM is bundled with node so you don't have to do this. 2. Check NPM Version by typing the following in your command line. 3. Update NPM because it gets updated more frequently than Node does, so you'll want to make sure it's the latest version. If you're version is older than what is in the NPM change log, update NPM using the following command. 1. 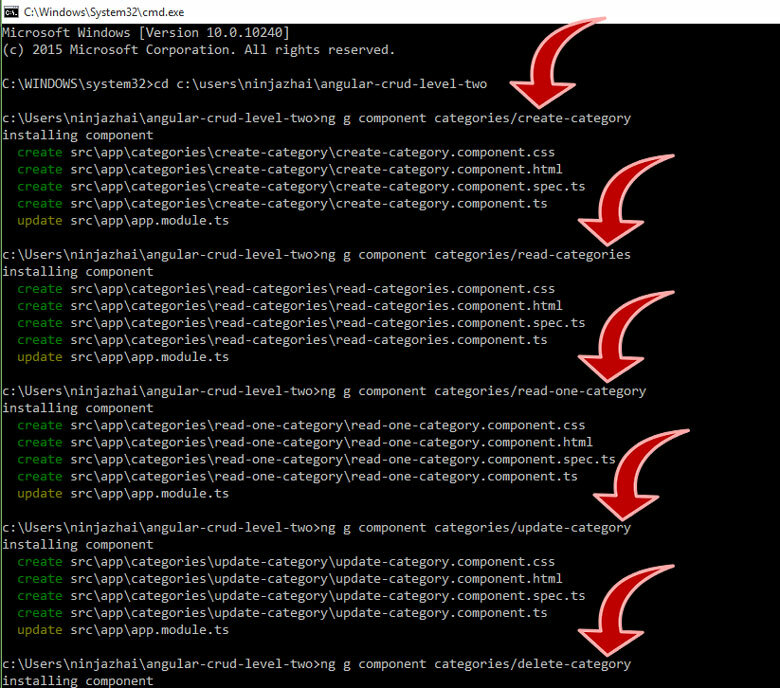 Install Angular CLI, it usually takes several minutes. Type the following in your command line. 2. Check Angular CLI Version by typing the following in your command line. 3. Update Angular CLI if your version is older than what is in the Angular CLI change log. Here's how to update Angular CLI global package. If you previously created a project, here's how to update Angular CLI local package. Go to your project directory first. Then do the Local project package update. 1. Create new Angular project with Angular CLI. This might take several minutes because it will create and install several files and packages. Type the following in your command line and press enter. If you're working on a LEVEL 2 source code, type the following instead. 3. Your command line should look like the following. 4. Run your project using "ng serve" in the command line. It will look like the following. 6. If you will go to your project directory, in my case, its "C:\Users\ninjazhai\angular-crud-level-one" you will see the files and folders that looks like the following. 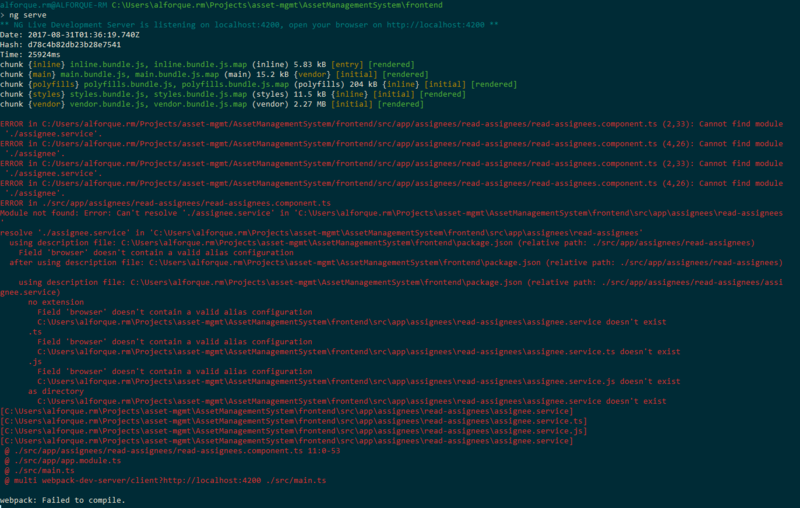 You don't have to open or read each files and folders above because they are auto-generated by the Angular CLI. What you have to focus on are the steps we are taking in this tutorial. 7. 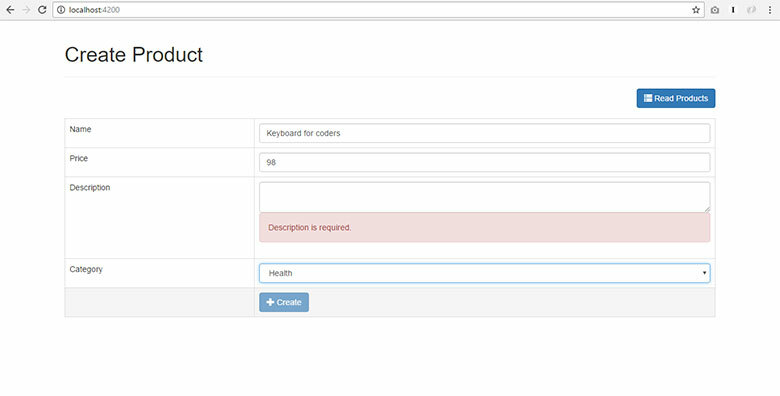 To make our CRUD app look good, we are going to use Bootstrap. So, open "src" folder. Open "index.html" file and put the following Bootstrap CSS file before the closing "head" tag. You can install Bootstrap via npm, but I prefer the method above. TIP: You can open your project directory with code editors like Atom so that it is easier to browse and open and edit different files and folders. 8. Let's verify if Bootstrap is working. 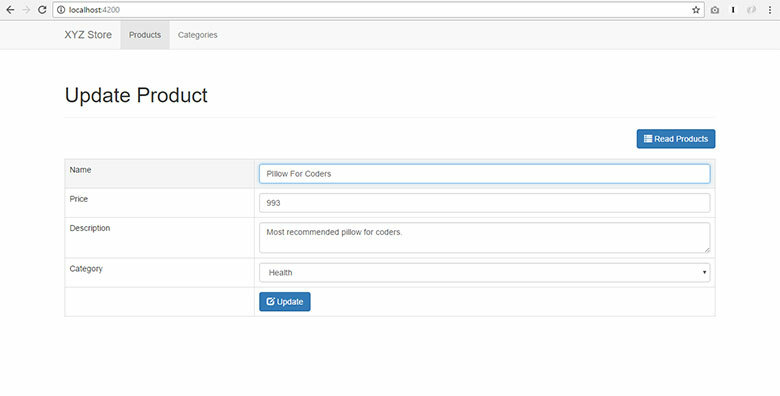 Add a bootstrap button on page. Open "src" folder. Open "app" folder. Open "app.component.html" file. Put the following code. 9. Save the file. See your browser. The URL http://localhost:4200 is automatically reloaded. You should see something like the following. Before we start with the coding, I need to give you some important pointers to have more success in following this tutorial. In the next sections, I will put helpful links for you to have deeper understanding about the "modules" or "imports" we are using. I will place some helpful tips as well. Using Angular, let's start by reading records from the REST API. We will display the data on an HTML table. 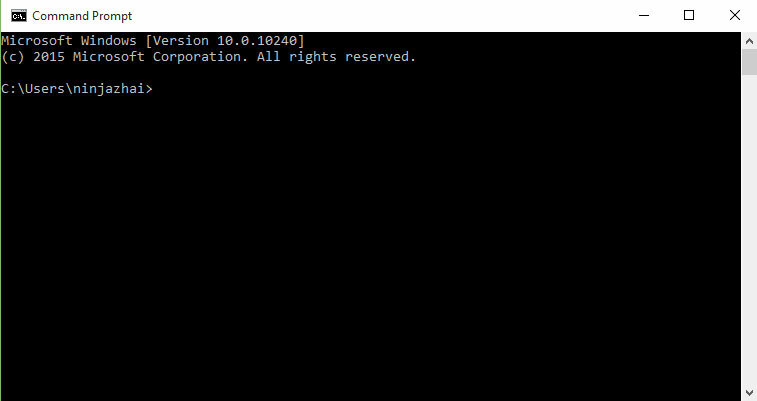 Open another command prompt. Make sure you're on your project directory. It will generate the following folder and files inside the "app" folder. Learn more about what is an Angular component here. TIP: If you need a component to be inside a parent component, you can type a command that looks like the following. To explain the "products/read-products" above, "products" is the parent component, and "read-products" is the child component. Here are some more examples. See the commands pointed by the arrows below. 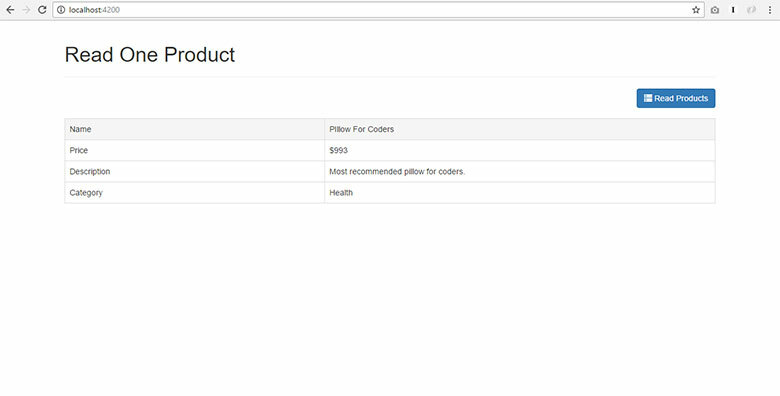 On our "read products" page, we will have a "create product" button and HTML table that will hold our list of products from the API. The HTML table will hold the "Read One", "Update" and "Delete" buttons as well. Open "app: folder. Open "read-products" folder. Open "read-products.component.html" file. Remove its current content and put the following code. The above code means that when the element that holds this attribute (a button or a link) was "clicked", the createProduct() method in the component will be triggered. This attribute is called event binding. Learn more about Angular event binding here. The above code is the "for loop" in Angular. Our code loops through the list of products from the API so that each record can be displayed as a table row. The "*ngFor" is called a directive. It changed the appearance and behavior of our HTML table. Learn more about Angular Directives here. The "product" service is where we will put the code that allows as to contact the remote server or API. In this case, we are going to get the list for products. Use the following in the command line to generate the "product" service. You will see a new file inside the "app" folder. The file name is "product.service.ts", open that file and put the following code. // Service for products data. // We need Http to talk to a remote server. // Get list of products from remote server. Our code above is an example of a Service. A service can be used by many components. You can think of it as a way to manage our data calls. Learn more about Angular Services here. Our Services returns Observables. In this tutorial, we use Observables to handle multiple values. Learn more about Angular Observables here. Learn more about Angular HTTP client here. The previous section's code will not work without the "product" class. This is because we imported it as seen in the "imports" section. We need the product class for the "create" and "update" features later. So, let's create the "product" class using Angular CLI. Use the following command in your command line. The above command will generate a new file under the "app" folder. The file name is "product.ts", open that file and put the following code. // Product class to define this object's properties. Open "app" folder. Open "read-products" folder. Open "read-products.component.ts". Change the code to the following. // Read products from API. You can think of this as the "parent" HTML template because it will be the wrapper for smaller component which include the "ReadProductsComponent" and other component we will work on later. Under the "app" folder, open "app.component.html" and change the code to the following. In this tutorial, the "AppComponent" is the "parent" component of all our component. You can think of it as the "consumer" of our sub components like "ReadProductsComponent". Under the "app" folder, open "app.component.ts" file and change the code to the following. We are going to fix some UI spacing using custom CSS. Under the "src" folder, open styles.css file and put the following CSS code. After doing all the steps above, the output will look like the following. Use the following command in the commmand line. It will generate the following folder and files inside the “app” folder. The "Read Products" button is used to go back to product list view. Open "app" folder. Open "create-product" folder. 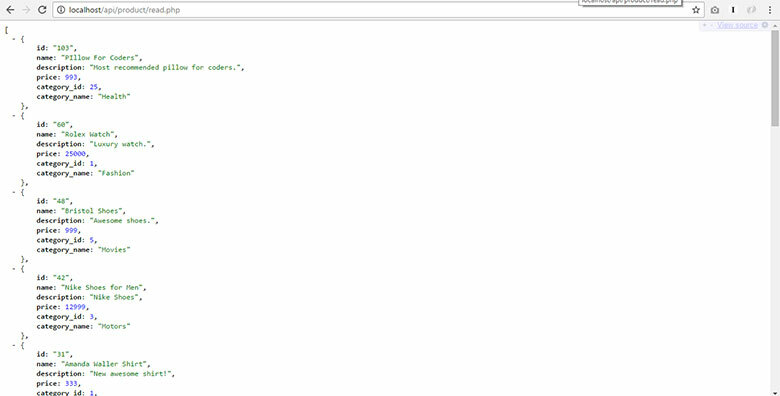 Open "create-product.component.html" file and change the code to the following. 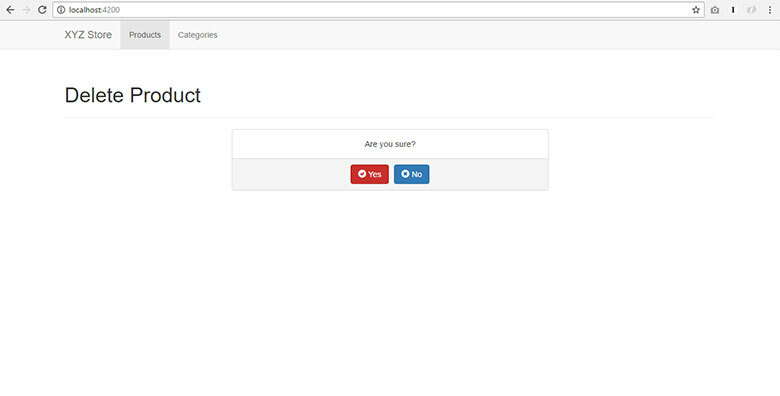 Angular form builder based on the HTML form fields. 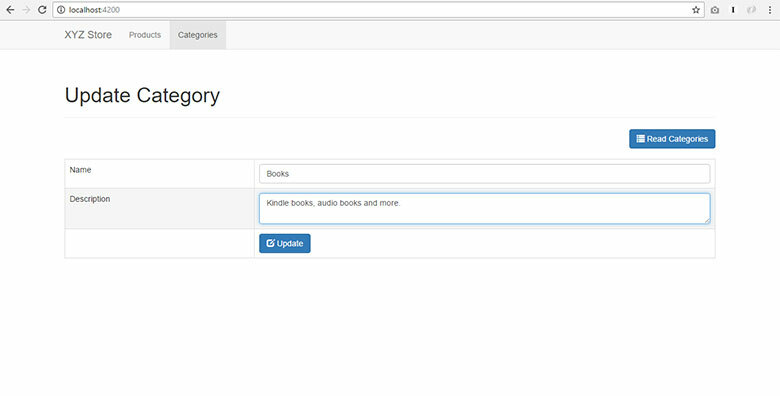 CategoryService to read list of categories from the API to fill out the category drop-down. We will create this service later. Category class because we are using the CategoryService. 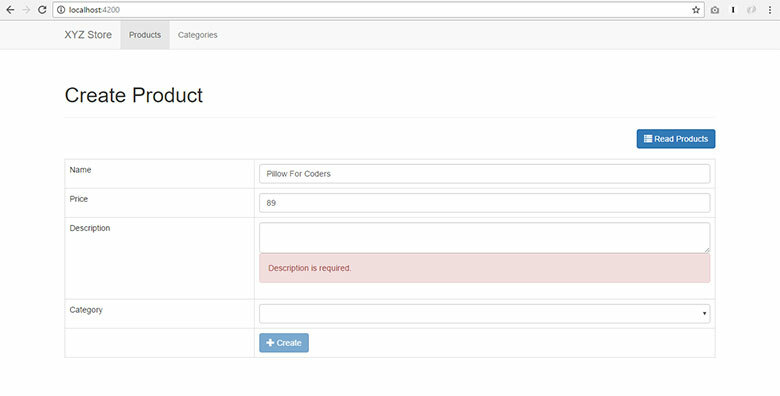 ProductService to send form data to the API. 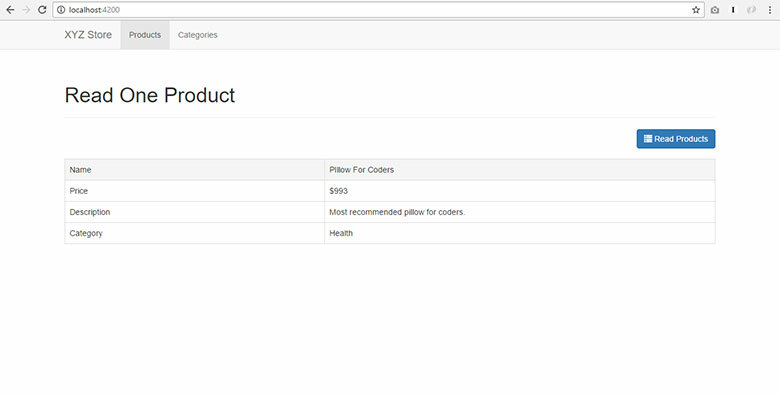 EventEmitter to go back to product list view. Please read the code comments below to understand more of it. I will provide helpful links after the code as well. Open "app" folder. Open "create-product" folder. Open "create-product.component.ts" file. Place the following code. Use the following in the command line. It will generate a file under the "app" folder. The file name is "category.service.ts", open that file and put the following code. // Service for categories data. // Get list of categories from database via api. Execute the following in the command line. It will create a file under the "app" folder. The file name is "category.ts", open that file and put the following code. // Category class to define this object's properties. Under the "app" folder. Open "product.service.ts" file. Place the following code after the readProducts() method. // Send product data to remote server to create it. To learn more about ReactiveFormsModule, click here and here. The "Create Product" form must be shown when the "Create Product" button (located in ReadProductsComponent) was clicked. Open "app" folder. Open "read-products" folder. Open "read-products.component.ts" file. Add the following "output property" before the "products" property. that an 'event' happened in this component. The "app-create-product" tag is the "selector" of our "CreateProductComponent", so this tag will render our "Create Product" HTML form. Add the following code in "app.component.html" file as well. * Show this view if "show_create_product_html" is true. trigger showReadProducts() method in AppComponent. 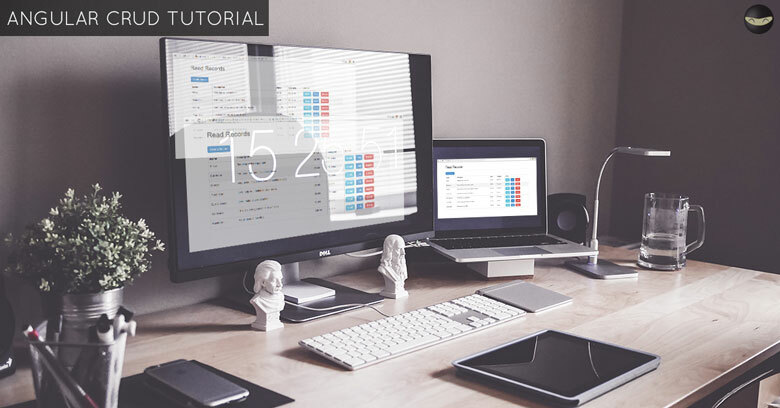 We will change the AppComponent by adding the properties and methods required by the HTML template on the previous section. Add the following methods as well. The output of doing this section should look like the following. Use the following in the commmand line. When a user clicks on the "Read One" button, our app will show a product information in HTML table. Open "app" folder. Open "read-one-product" folder. Open "read-one-product.component.html" file and change the code to the following. Open "app" folder. Open "read-one-product" folder. Open "read-one-product.component.ts" file. Change the code to the following. Under the "app" folder. Open "product.service.ts" file. Place the following code after the createProduct() method. // Get a product details from remote server. The "app-read-one-product" tag is the "selector" of our "ReadOneProductComponent". This tag will render our "Read One Product" HTML table with the product data. Add the following code in "app.component.html" file as well. * Show this view if "show_read_one_product_html" is true. to [product_id] property of ReadOneProductComponent. Open "app.component.ts" file and add the following property under "title" property. Add the following method as well. ...then add the following properties below it. When you click the "Read One" button, you should see something like the following. Open "app" folder. Open "update-product" folder. Open "update-product.component.html" file. Change the code to the following. 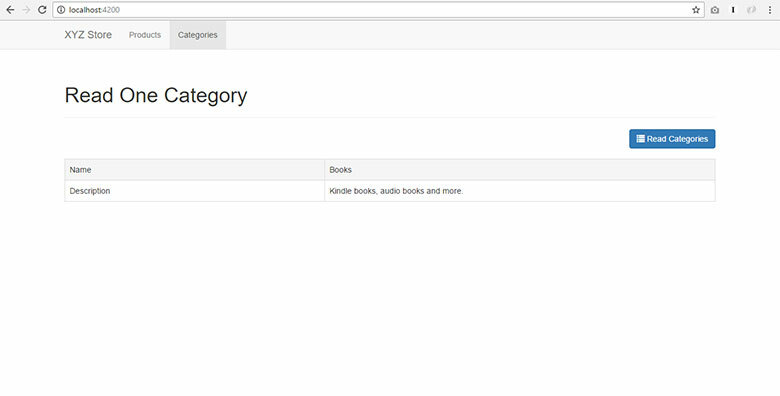 CategoryService to read list of categories from the API to fill out the category drop-down. Open "app" folder. Open "update-product" folder. 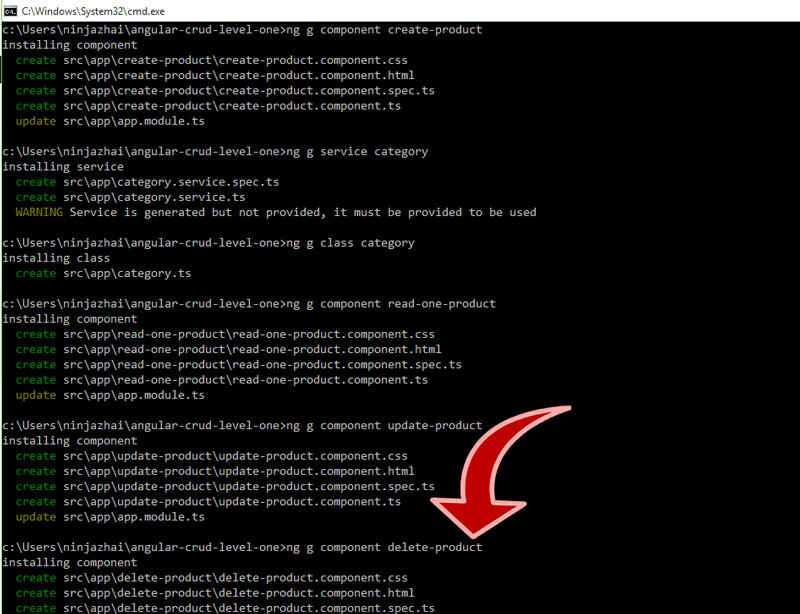 Open "update-product.component.ts" file. Replace the code with the following. Under "app" folder. Open "product.service.ts" file. Add the following code after "readOneProduct()" method. The updateProduct() will post updated product information to API. // Send product data to remote server to update it. The "Update Product" form must be show when the "Update" button (located in ReadProductsComponent) was clicked. We have to tell the parent component (AppComponent) to show the "Update Product" form on the event of "Update Product" button click. Under "app" folder. Open "app.component.html" file. Find "app-read-products" tag and add the following as attribute. Next, the "app-update-product" tag is the "selector" of our "UpdateProductComponent", so this tag will render our "Update Product" HTML form. Add the following code in "app.component.html" as well. * Show this view if "show_update_product_html" is true. to [product_id] property of UpdateProductComponent. We used showUpdateProduct($event) method in the previous section. We have to add it on our AppComponent. Open "app" folder. Open "app.component.ts" file. Add the following code inside the class. When you click the "Update" button, you should see something like the following. At this moment, your command prompt should look like the following. 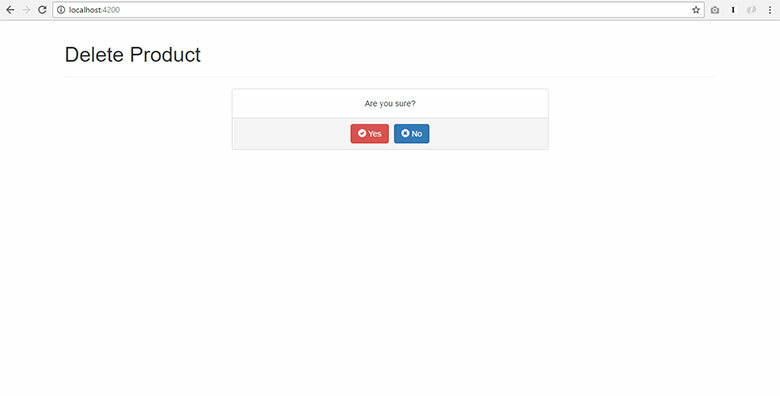 Our "Delete Product" HTML template will contain the "Are you sure?" message with "Yes" and "No" button. Open "app" folder. Open "delete-product" folder. Open "delete-product.component.html" file. Change the code to the following. When user click the "Yes" button, our app will send the product ID to the API for deletion. If the user click the "No" button, our app will show the list of products. Open "app" folder. Open "delete-product" folder. Open "delete-product.component.ts" file. Change the code to the following. Using the "ProductService", we are going to send an HTTP request to delete a product. A product record will be deleted based on given product_id parameter. Under "app" folder. Open "product.service.ts" file. Add the following method inside the class. // Send product ID to remote server to delete it. The "Delete Product" prompt (Are you sure? delete confirmation message) must be shown when the "Delete" button (located in ReadProductsComponent) was clicked. Under "app" folder. Open "app.component.html" file. Find the "app-read-products" tag. Add the following attribute to it. The "app-delete-product" tag is the "selector" of our "DeleteProductComponent", so this tag will render our "Delete Product" confirmation prompt with "Yes" and "No" button. Add the following code in "app.component.html" file as well. * Show this view if "show_delete_product_html" is true. We used the showDeleteProduct($event) method on the previous section so we need to add it in our AppComponent. Under "app" folder. Open "app.component.ts" file. Add the following method inside the class. When you click the "Delete" button, you should see something like the following. Copy the "api" folder to root directory of your localhost. 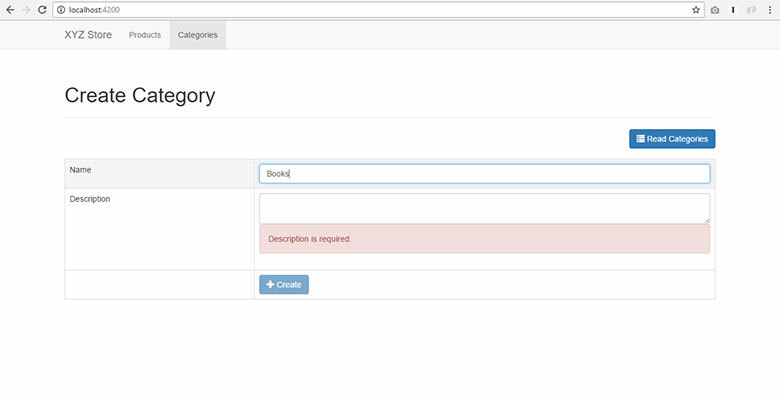 Setup the database using PhpMyAdmin. Import "api_db.sql" which is inside the "api" folder. Set up your Angular development environment. Follow section 5.0 above. Go to your development directory, open the "src" folder. This means you will download the LEVEL 1 and 2 source codes in separate packages. Please select "ALL LEVELS" below and then click the "Download Now" button. 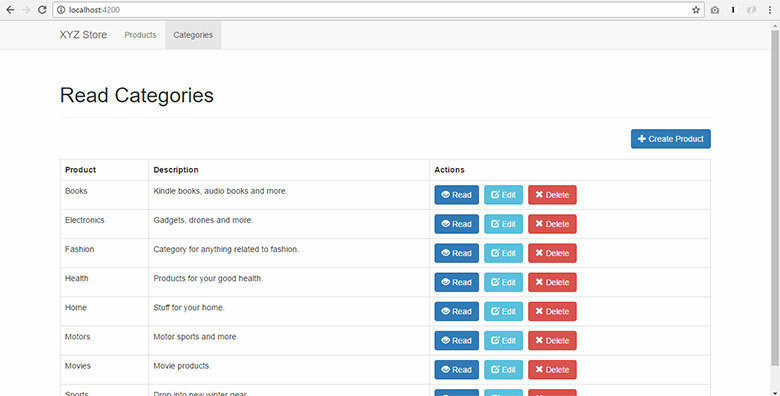 We are currently building more high quality tutorials for PHP, Laravel, CakePHP, and Social Media APIs. We love publishing high-quality tutorials for you guys! Please subscribe via email so that we can let you know immediately once these new and high-quality tutorials are published. If you have a friend or know someone who needs this Angular CRUD Tutorial, please share this page to them! I know you will help them a lot by doing it. Thanks! 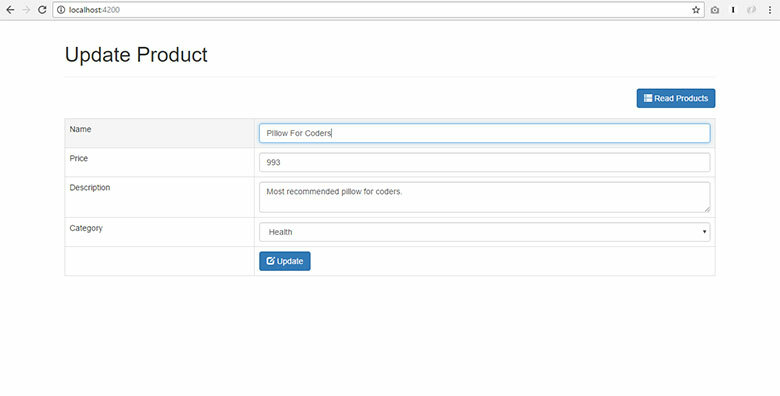 https://www.codeofaninja.com/wp-content/uploads/2016/12/angular-crud-tutorial-step-by-step-guide.jpg 408 780 Mike Dalisay https://www.codeofaninja.com/wp-content/uploads/2019/03/codeofaninja-with-text-3-1030x206.png Mike Dalisay2016-12-18 14:38:372018-07-14 23:26:12Node.js & Angular CRUD Tutorial - Step By Step Guide! drawback, I have already developed a backend. One called a code and another called a data. or not, and the one that is called data is that it has the data. You could give me a hand with this. Hello @ronaldrenterahinestroza:disqus , you’re welcome and I’m glad our tutorial helped you in some ways. Based on the error message, your ‘code’ is not in ‘response.code’, so please study the contents of your ‘response’ first. And this class is the one I’m using .. I still have an alert in the IDE but everything is working fine ..
Great, glad it works for you now! Hi @yaojingquek:disqus, would you right click your page > click inspect element > go to console tab. Tell us the error message you see there. Hi @roxannemaealforque:disqus, would you attach a screenshot so we can see the full error message? Also, please try to complete the whole section (or several sections) of the tutorial first. I have finished section 6 however I got these errors. Based on that error message, it looks like you have not created a service for your component yet. Or you missed the class name or file name. Also, it looks like the project you are debugging is not our tutorial above. I highly recommend following the whole tutorial above first, before moving on to your own project. I believe this will give you a better path to learn, with the help of our tutorial above. It says that you should create a category service first. We do not have tutorial for LEVEL 2, it is just a code that you may choose to download. We highly recommend completing the LEVEL 1 tutorial above first before download the code for LEVEL 2. Hi @margandavor:disqus , you’re welcome and thanks for the kind words! If you have that case, I recommend adding a validation on the API. Like, if it received a post request, it should check first if the data exists. If it exists, proceed on saving it to database. If not, no operation should be executed. I will add this to our REST API tutorial soon. Thanks for bringing this to my attention. Hi @ninjazhai:disqus , Thanks for the great tutorial.I was also facing the same issue of black record while adding an product.May I know from where the blank record is coming. Hi @bikramsao:disqus, I’m actually now sure, maybe the Angular version I’m using above has a bug. But the best solution I can see is to update the API. It should now allow blank posted values to be inserted to the database. Hi @disqus_SIhbZ2CxOb:disqus, thanks for the kind words, you’re welcome! About the bug, would you try to add product_id as seen on section 6.7 above? Hi friend. I love all your tutorials, I have learnt some much from your website. I have just tried to run the code though and I am getting the following errors (see below). I have no idea what they mean. Please could you help? NullInjectorError: No provider for Http! Hi @disqus_8jzDL7Fij5:disqus , thanks for the kind words! About the error, which section of the tutorial are you in? It looks like you forgot to include a module. See example in section 7.7 above. Hi @PatrickP, thanks for sharing your solution! Correct me if I’m wrong, but I think he also has to include the provider — providers: [ProductService] — in app.module.ts or in the component itself. Am I right? Hi @atomicnation:disqus, you might be correct if you’re using the latest version of the libraries. Unfortunately, I’m unable to update the tutorial above. Hi @a_velo:disqus, you’re welcome! Thanks for your positive feedback. Unfortunately, we don’t know yet when we will release the features you described. We provided the tutorial as is. First of all, this tutorial is brilliant. I’m using the code for going forward in a little pice of software for myself. Any idea of where can this error come from? As I said, it deletes from database but crushes before coming back to the “read-participaciones” component, where it show the list of participaciones, the same way it does for products. Hi @atomicnation:disqus, did your DeleteProductComponent worked without that error? I’m not sure why the error is undefined. Maybe you should complete the create, read and update components first before going to the delete component. There might be the difference. It seems to me it is needed to be initialized. Otherwise, I get the undefined productList error. I see, thanks for sharing your solution @disqus_rfOo42p0yA:disqus! You’re welcome @disqus_rfOo42p0yA:disqus, I’m glad you made it work! Did you solve the problem from your previous question? If yes, would you share your solution? Awesome, I truly appreciate your effort, thanks for sharing your solution @disqus_rfOo42p0yA:disqus! Hi @disqus_irGU8f0wmc:disqus, we updated the tutorial above and this issue is now fixed. Thanks for reporting the bug and for purchasing our code! Hi @utkarsh, thanks for the tip! This might work on some cases as well. Hi @tariknaraoui:disqus, thanks for the kind words! Unfortunately, the feature you described is not part of our tutorial and I haven’t tried something like that yet. Hi @disqus_GVF33N0cgG:disqus, did you try port 4200 or 3000? Did you use XAMPP for your API? @disqus_GVF33N0cgG:disqus, would you try to turn off other servers running on your computer? Let us know if you will encounter the same error message.